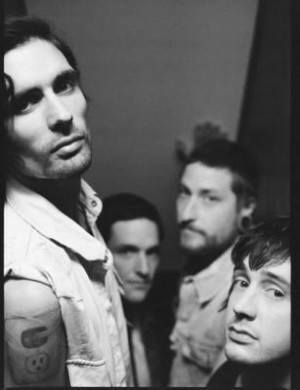 The All-American Rejects just unveiled their official new album title with a preview video for “Kids In The Street,” the band’s upcoming fourth studio album coming Spring 2012. The nostalgic clip follows up a series of short videos the band has been posting about the theme of the album. In conjunction with the title reveal, the band also launched a new site, Burnbothends.tumblr.com, for fans to submit their own “Kids in the Street” inspired stories. “Submit your favorite moments in life. Paintings, photos, videos, interpretive dances, whatever expresses who you are,” says a message on the site. Outstanding contributors will win entry to a very special “Kids In The Street” event with The All-American Rejects. Fans can go to the site now and submit their entries! Check out the preview video below!